There is some umbilical, intimate relationship between Melbourne and its coffee. It is more than just a cheap addiction or an energy boost in the morning. It is a symbol of identity, an inseparable character. It is an inextricable culture representing the uniqueness of the city: those secret hideouts in a quiet back-lane, those nostalgic stores in artsy warehouse-converted buildings, those boutique coffee places colonized by street arts, and those modern cafes with unconventional interior. Coffee, in short, is the life and blood of Melbourne. Making a good cup of coffee requires seamless skills of a great master. It is a sophisticated study of art and science; a chemistry process altering the molecular structure of aroma-infused beans through precision of roasting, grinding and brewing; a modification to the texture of milk from cold liquid to smooth creaminess through meticulous frothing and steaming; and a perfect control over the quantity, ratio and temperature of water. 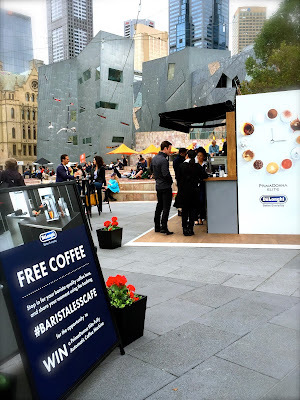 The Italian DeLonghi has definitely made a smart move when it decided to expand its market to Melbourne, where coffee is an essential part of its majority dwellers. Its latest innovative coffee-machine, the futuristic-looking silver PrimaDonna Elite, prides itself of its ability to brew the most flawless coffee akin to that produced by a world-class barista. 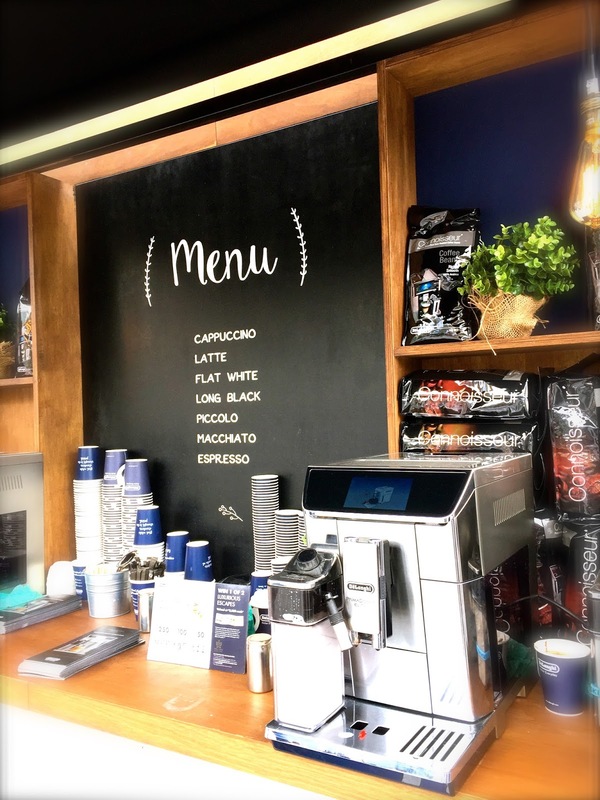 Simply plug-in the reservoir for milk, load your ideal coffee beans, get your water container ready, swipe and select your coffee choice from the fancy touch-screen; a cup of beautifully crafted coffee will soon be delivered to you. The machine recognizes the individualistic coffee requirements demanded by many coffee connoisseurs. It is embedded with an intelligent system that allows sophisticated customization, massive storage of personalized preferences, and remote ordering by a user, all done through a smart-phone app and Bluetooth-connected device. 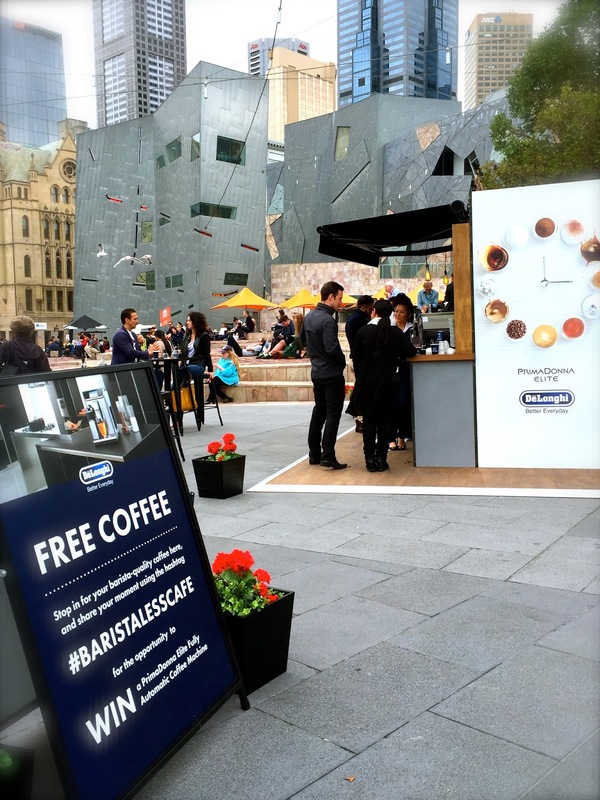 DeLonghi will be distributing free premium coffee for the next coming two days at Federation Square, offering Melbournians the opportunity to trial-test its new creation. Visitors will get to sample a selection of coffees finely produced at its barista-less pop-up stall: cappuccino, latte, flat white, long black, piccolo, macchiato, and espresso. Being a non-owner, I am of course unable to vouch for the quality and user-friendliness of this new piece of technology. 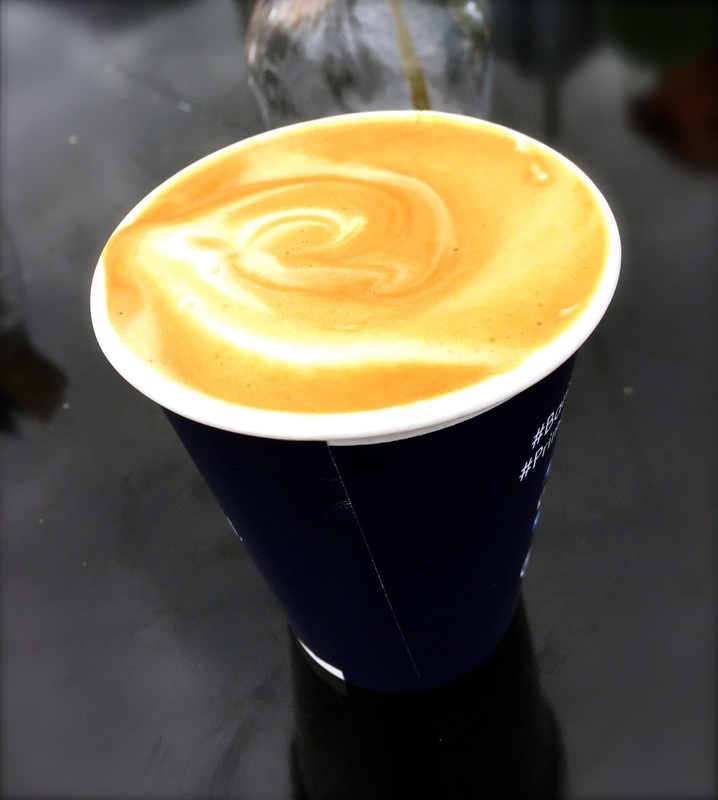 But the free latte that I tasted this morning was rich, silky and strongly fragrant. Definitely worth a try by all coffee enthusiasts!